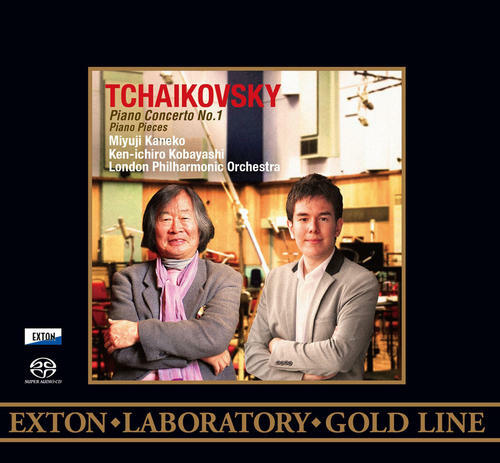 (SACD-HYBRID) Pianist Miyuji Kaneko and the London Philharmonic Orchestra, led by Ken-Ichiro Kobayashi, perform compositional works by Tchaikovsky. 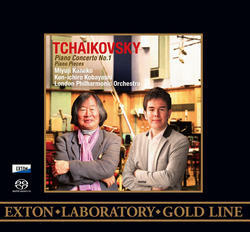 This Exton Laboratory Gold Line Hybrid Stereo disc is a high quality non-compressed Japanese Import SACD. Recorded on a custom Sony DSD recorder, this audiophile SACD is packaged in an XRCD-like luxury digipak. This disc includes a booklet with detailed microphone and equipment diagram and placement used for each individual recording! Superior quality Japanese Import SACD, manufactured in Yokohama, Japan. Only the best recordings - technically and artistically! This Hybrid SACD contains a 'Red Book' Stereo CD Layer which is playable on most conventional CD Players!